The Common Soil Seed Library is a space for sharing open-pollinated seeds and gaining awareness and information about gardening and seed saving. 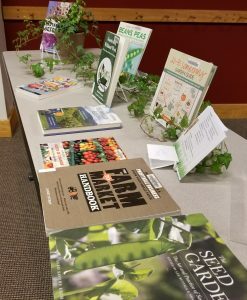 Whether you're a seasoned gardener or you want to learn how green your thumb really is (or isn't), Omaha Public Library has resources to help you grow your gardening skills! OPL's Common Soil Seed Library saw an almost eight-fold increase in annual circulation last year from 2013, when it was first introduced. OPL added the Common Soil Seed Libraryopens a new window to its collection in 2013 and has been offering seeds ever since! Currently there are 165 different seeds available for checkout from OPL's catalogopens a new window. Patrons can request seeds for pickup at their local OPL branch or browse seed library selections in person at Benson Branchopens a new window, Bess Johnson Elkhorn Branchopens a new window, Millard Branchopens a new window or South Omaha Libraryopens a new window. OPL has compiled grow-out instructions for all the seeds in OPL's collection, as well as information on various gardening topics. Patrons can request these handouts at any OPL branch. Different seeds will be available at different times due to seasonal changes times due to seasonal changes and donations, so it's worthwhile to check for new offerings at different times of the year. Cardholders may check out up to 10 seed packets at a time. 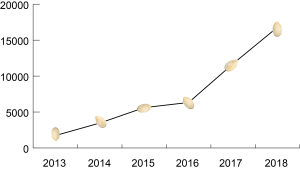 Seeds do not need to be returned, so there are no due dates and patrons do not accrue penalties or overdue fees for unreturned seeds. If you're not sure where to begin, OPL's Common Soil gardening programs are a great place to start. Experienced instructors provide an overview of various topics, including garden design & companion planting, starting seeds, herb gardening, composting and more! View currently scheduled OPL gardening and seed library programsopens a new window. In addition to these courses at OPL locations, patrons can also enroll in six-week Gale Coursesopens a new window taught by gardening professionals. 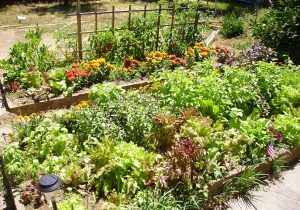 Gale offers courses on Starting Your Own Edible Gardenopens a new window, which can help you learn which type of garden is right for you, and Growing Plants for Fun and Profitopens a new window, that focuses on how you can make a profit from your gardening efforts. Beginning Gardeningopens a new window – Need help starting your garden? Try these books for beginners. Gardening with Kidsopens a new window – Get the whole family excited about gardening with these books for kids. Garden Planningopens a new window – Great gardens take planning! These books can help with that. Companion Plantingopens a new window – Learn which varieties of plants work best when planted together. Gardening Safetyopens a new window – Stay safe when gardening using valuable tips provided through these resources. New Gardening Booksopens a new window – Find the newest materials about gardening in OPL's collection. Books for Gardening with Kidsopens a new window – Get the whole family involved with gardening. View the DVDs about gardeningopens a new window in OPL's collection. These resources are a great way to get started with your personal gardening projects or even any community projectsopens a new window you think up! Learn more about the seed library collection hereopens a new window.